In addition to my previous post, a lease operator is essentially a company driver that makes truck and maintenance payments to the company they work for. Dispatchers favor company drivers over owner operators. The company drivers make and save money for the company. Companies make money from lease operators from the weekly truck payments and maintenance fund. Owner operators are almost always used when there are no company drivers available or there are no lease operators available. I never gave owner operators priority over company drivers. Quite frankly I was not allowed to. The lease operators get enough loads to make the truck payments and to make the maintenance fund. Lease operators have as much freedom as company drivers plus the stress of making their weekly payments. The company knows this and so does the dispatcher. From my experience working as a dispatcher (I'm driving now) and looking at data from my cousins lease/op with CRST and then owner/op at Landstar, you'll make as much money as one of the more experienced company drivers, but with the downside of having to find loads or getting the loads dispatched to you. 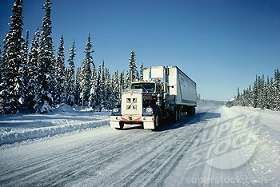 I believe the best bet if you want to be an owner operator is to haul freight most drivers don't want to haul because of the extra labor: flatbed freight. Good point Kieran L. PRIDE of ownership ... I would just want to get a new truck so that I know that it's clean inside and that no one else has slept, farted, coughed or did any other nasty stuff in the truck. My dream is actually to get a restored/refurbished cab-over from the 1980's ... would that be even feasable to run cost-efficiently, or am I just dreaming? Just wondering though, does dispatch favour it's own company drivers over owner operators? Maybe O/O's get the leftovers. Can someone with experience on the dispatch side chime in? And in the same vein, has any driver turned dispatcher or vice-versa? I have too many questions, sorry, but this is all new to me!